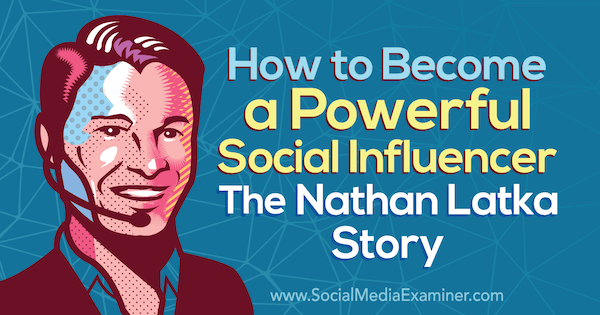 To explore how to build powerful influence, I interview Nathan Latka. Nathan hosts The Top Entrepreneurs podcast and is the former CEO of Heyo. His new book is How to Be a Capitalist Without Any Capital, and his new TV series, Million Dollar Road Trip, premieres on CNBC later this year. 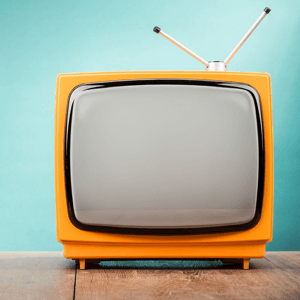 Nathan shares how he parlayed a single content channel into a book deal, a Facebook Watch series, and a television show. You’ll also learn how Nathan negotiates his deals. Nathan was 19 years old and studying architecture at Virginia Tech when he realized there were no jobs in architecture at that time. He quickly turned his attention to tech and taught himself to use FBML (Facebook Markup Language), a Facebook-exclusive code that allowed him to customize Facebook pages with apps and opt-in forms. He began selling Facebook fan pages, and his first sale was to Carrie Wilkerson, the Barefoot Executive. After selling $70,000 worth of Facebook fan pages, Nathan realized he didn’t want to be doing agency-type work. Instead, he wanted to build and monetize a system that let people drag and drop elements to create their own pages. This led to the creation of Heyo, a Squarespace-like service for easily adding Facebook apps to Facebook pages. Fairly quickly, Heyo’s sales were hitting approximately $40K a month, and investors such as David Cohen at Techstars and Dave McClure at 500 Startups were reaching out. By 2013 or 2014, the business had about $100K a month in revenue and ultimately raised another $2 million before selling in 2016. This, Nathan says, is when his ego led him to make a big mistake. He had been reading articles that said Mark Zuckerberg had turned down billion-dollar offers from Yahoo or Microsoft. Nathan reasoned that if he was offered a $10M or $20M deal, he would also turn it down. In 2011, iContact offered Nathan $6.5M for Heyo and he turned the offer down. In 2016, Heyo did sell, but for much less than the original $6.5M offer. The takeaway is that a lot of people leave the corporate world and launch their own startup, then build their wealth by selling early. Nathan didn’t do that and he says it was a mistake. I was one of the people who got that email. I shared a screenshot of the email (with Nathan’s name blurred) to my personal profile to call out to my tribe what I thought was an overly aggressive marketing tactic. While Nathan initially blew up a little, he was able to defend his position. We have kept in contact and have been friendly since then. The Top Entrepreneurs Podcast was launched for two reasons. First, Nathan was upset with the lack of transparency in discussions that covered how companies were built. There were a lot of founders going on shows saying “I have the best X, Y, or Z,” but they wouldn’t back their claims up with data or numbers. Second, he realized how many people were launching podcasts and his competitive nature was driving him to enter the space and outperform everyone else. He acknowledges that he learned a lot from John Lee Dumas and Entrepreneurs On Fire, as well as The Tim Ferriss Show, and ultimately combined what he most admired from both shows to create The Top Entrepreneurs podcast. 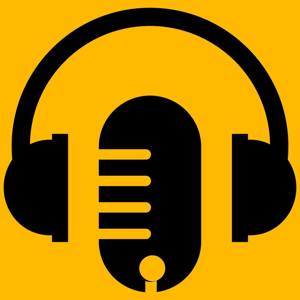 The podcast, which launched in 2015, is a daily 20-minute show that directly discusses Nathan’s guests’ valuation, the equity they own, how they grew, their number-one growth channel, and so on. Nathan had an internal agreement with himself that he was committed to doing a daily show for a year, whether people listened or not. Still, he wanted to figure out how to drive downloads and sales, and settled on the following strategy. In advance of the launch date, Nathan pre-recorded 30 episodes of the show with notable guests such as Kim Garst. Just prior to launch day, he emailed each of those 30 guests with an offer: the show would launch with the episodes featuring the first five people who agreed to email their episode to their list. On launch day, over 800K emails went out for his show. This was key because at the time, Nathan had no email list of his own and a very small social following. Three or four months later, on Wednesday, February 24, 2016, Justine Smith from FreshBooks reached out with an inquiry about his sponsor rate and the number of downloads per episode. Nathan quoted her a price and they agreed on $400 for two placements per episode in eight episodes over 2 months, for a total of $6,400. That was his first revenue from the podcast and he realized he had a sponsor model to work with. Following that, Nathan signed a $180K sponsorship deal for 12 months at $15K per month, and he used that money as capital to productize the podcast. His first product was born of the questions he asked his CEO guests about their revenue data. For example, he asked every CEO how they got their first 100 customers. If their reply was along the lines of “organic,” or “inbound,” or “word of mouth,” Nathan would dig deeper and ask for something that people wouldn’t expect. His guests would then reveal details and growth ideas no one had heard before. Those details, along with each guest’s revenue numbers and valuations were put in a big spreadsheet that Nathan sold access to for $500. Nathan stresses that the early spreadsheet was ugly, but that early format allowed him to test the product before investing a ton of money in developing it into a website. Once he had validation, he developed getlatka.com. Now, the voice data from each episode goes up on the website in a spreadsheet that can be sorted by company revenue, number of customers, churn, and other criteria. Nathan currently has private equity firms, venture debt firms, and other companies paying between $10K and $20K per month for access to that data. Following the success of his podcast, Nathan began receiving pitches from publishers who wanted to place their authors on his show. After he hosted an author, he would send the publisher the author’s Amazon ranking prior to and after their episode aired. Though originally putting the idea off due to a lack of confidence in his own writing skills, the larger offers that kept coming in convinced him to sign with Jim Levine in New York. Jim helped Nathan deliver a book proposal in a way that created a bidding war among some of the biggest publishing houses including Portfolio Random House, the publisher Nathan ultimately chose to work with on How to Be a Capitalist Without Any Capital. Nathan says he struggled with writing on his own for about a week before deciding to use his natural talent as a podcaster to record audio that could be transcribed into a book. Sometime later, Nathan became connected with Facebook’s Product Watch Team in Washington, DC, and then with the team in their LA office. Because they recognized Nathan’s engaging personality, they wanted to give him early access to the Watch platform. He initially declined due to the risk and uncertainty around the project. Once you transition a Facebook page to a Watch page, you can’t go back. And what if Watch failed? What would happen to his page? Would Facebook delete it? After four or five tries, Nathan walked up to Yummy Thai Food. He introduced himself, explained that he was broadcasting live video to his Facebook page to feature local businesses in Austin, and asked to buy Pad Thai. Eventually, he met Ming, the owner, because she was serving the food. He whipped out his checkbook and said he wanted to do a deal with her. He asked Ming about all of her numbers, meal volume (approximately 600 meals per month), revenue, and employees. He learned she was an immigrant and that she’d been in business about 3 years. After about 45 minutes, Nathan wrote her a $6K check to pay off the loan on her food truck. In exchange, she agreed to pay Nathan $0.65 per meal until he was paid back, and then $0.10 per meal in perpetuity. The episode ended up getting 1.2 million views. To keep his audience actively engaged with the video, he asked questions and let his audience guide his actions. At one point, Ming got noticeably nervous. Nathan said, “Guys, she’s nervous. Tell her not to be nervous. Click the heart right now…” When Nathan showed the screen to Ming, she started laughing and talking to the Facebook audience. Nathan notes that average watch time on any Facebook video is now less than 6 seconds. Now that he’s moved over to a Watch page, he uses a number of features to retain the attention of his audience. For instance, he uses polls that show up in the video at certain points in the episode, at time stamps. If Nathan knows he’s going to ask about revenue data at the 3:00-minute mark, he delivers a poll just before that to ask his audience what they think the revenue will be? They see him get the answer live but the poll keeps them sticky and engaged. He also combines a 60-second countdown timer with a question such as, “Is the business owner going to punch Nathan in the face?” The countdown starts and when it hits zero, viewers see what’s happened. Then, another question with another timer begins to countdown. This tactic drove Nathan’s average watch time from 8 seconds to almost 63 seconds per video. Contrary to what many believe, Nathan’s television deal didn’t happen because of his Facebook Watch show. The deal came about through a forum listing made by his publisher to announce his book deal. The forum, used by TV producers and big publishing companies, is often used to option screenplays and series. Early last year, after Portfolio Penguin published the post, Nathan received cold emails from five or six production companies that thought his book would make interesting TV content. He eventually agreed to film a pilot with CineFlix, which produces Property Brothers and The Deed. The pilot generated a lot of interest from major networks and CineFlix suggested Nathan engage an agent before he entered into negotiations with a production company. Nathan was introduced to reps from WME, UTA, and CAA. True to form, Nathan basically asked each agency to pitch him before he chose CAA and gave them the rights to negotiate his speaking engagements, endorsement deals, and television deals. Subsequently, CAA negotiated a lucrative television deal for him with CNBC. The takeaway is that Nathan’s a negotiator and plays the long game. He knows what his value is and he doesn’t bite when the first little opportunity presents itself. The show began filming in December 2018 with a working title of The Million-Dollar Road Trip. Each 47-minute episode follows Nathan as he walks into a random business with his checkbook. He finds the owner, gets their revenue data, and—in 20 minutes—decides whether to invest in or acquire the company. Erika ceo Ice cream. Help me decide should I write $50k check? During filming for the television show, Nathan continued to go live on Watch to engage his Facebook audience with the same tactics he shared above. That Facebook Live feedback and engagement was then built into the produced footage that will go up on CNBC when the show premieres in late Q2 or early Q3 of this year. Listen to the show to hear more about the actual production and filming of Nathan’s television show. Nathan is currently using his podcast to connect with CEOs, many of whom he helps to buy and sell other companies while taking $10K to $30K in retainers. This has evolved into Nathan’s own private equity fund. Basically, he and other wealthy people pool money Nathan uses to buy companies. One of the reasons Nathan chose to sign with CNBC is that it has the wealthiest demographic of cable viewers. Nathan believes that getting brand recognition inside of CNBC will help him raise hundreds, or one day, billions of dollars for his own private equity fund. Teleprompt.me is a free Chrome browser tool (not an extension) that helps you keep up with your own content when reading a script aloud for video or audio. Open the tool on your computer and grant access to your microphone, then drop your script in. The tool then brings up your text in the browser, which is where the magic happens. As you speak the words, they’re grayed out so you know exactly where you are. The words progress as you do so you never lose your place due to applause, a sneeze, or your speech cadence. You can also adjust the size of your text for better legibility. Teleprompt.me is free but accepts donations of $19 per year. Listen to the show to learn more and let us know how Teleprompt.me works for you. Listen to The Top Entrepreneurs Podcast. 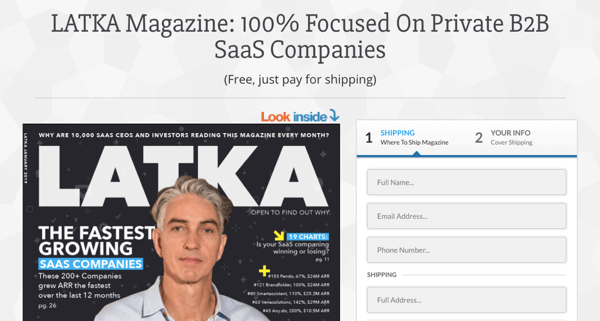 Browse the business data at getlatka.com. 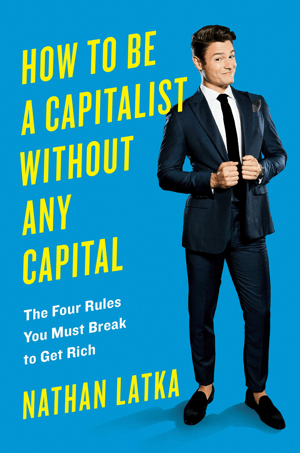 Read How to Be a Capitalist Without Any Capital: The Four Rules You Must Break to Get Rich. Explore Latka Money on Facebook Watch. Look for The Million-Dollar Road Trip premiere on CNBC later this year. Take teleprompt.me for a test run. What are your thoughts about entrepreneurship? Have you been able to parlay your achievements into even greater successes? Let us know in the comments!